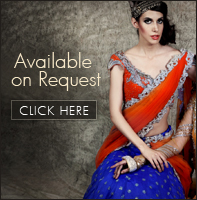 Make this attire way to special wearing it in your sangeet. 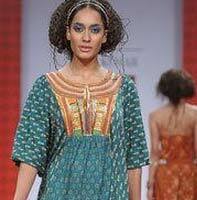 The front zippered blouse is settled well with floral patch work embellished all over. 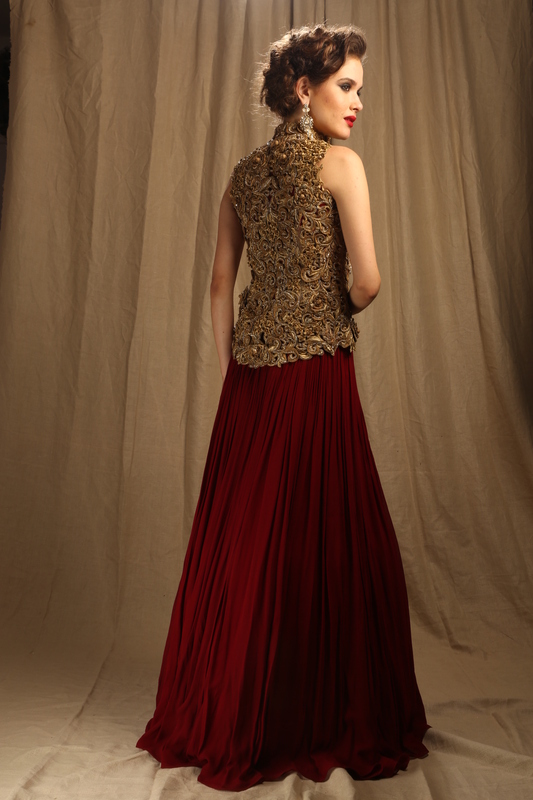 The maroon solid lehenga has a beautiful volumnious flare and makes it a piece to eye for.